"With the Cinéfondation and the Short Film Competition, one is certain to discover young filmmakers, new ways of seeing which will help us in the business of living." Jean-Pierre Dardenne was born in 1951 in Engis (Belgium). When studying drama he met the poet, playwright and director Armand Gatti and became his assistant. In 1974, he and his brother Luc began shooting socially engaged videos and reports, going on to produce and direct documentaries from the production workshop Dérives. They moved into fiction with Falsch (1987), followed by Je Pense à Vous (1992). Their third film, La Promesse (1996), was successfully presented at the Directors’ Fortnight. 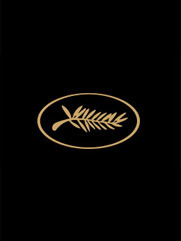 In 1999, the Festival de Cannes selected Rosetta for the competition and the jury bestowed the film with the Palme d’Or – as well as the Best Actress prize, to newcomer Émilie Dequenne. The brothers were again in competition in 2002 with The Son for which Olivier Gourmet won Best Actor. In 2005, they came away with their second Palme d’Or, for The Child. Lorna’s Silence was awarded Best Screenplay in 2008. Continuing their journey with the Festival de Cannes, in 2011 they were back with The Kid with a Bike, for which they received the Grand Prix. In 1994, Jean-Pierre and Luc Dardenne founded Les Films du Fleuve to produce their own films and those of other directors.